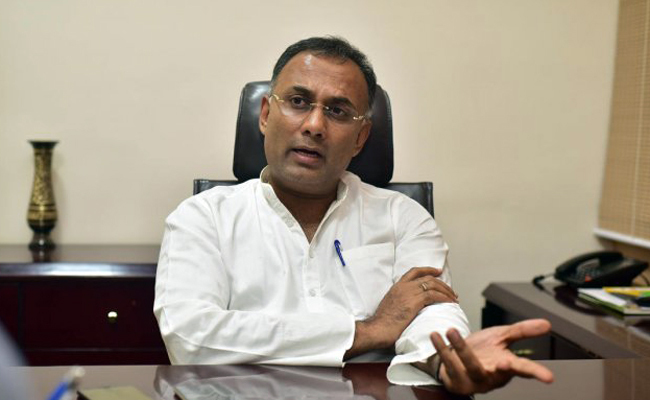 Bengaluru, Feb 10: Karnataka Pradesh Congress Committee president Dinesh Gundu Rao on Sunday criticised former Union minister SM Krishna for his statement on 'interference' by Rahul Gandhi and said that by making such remarks he has lost whatever little respect he had. Rao said, "Today when I hear his statement, even that 1 per cent of respect I had for him is gone. For a person of his stature to speak like this, is absolutely disgusting. I don't know what is making him speak like this." Referring to the comments by Krishna, Rao added, "People even in their old age don't seem to have enough, want more recognition. These drive them to say such things. No damage done to our party, it only damages his legacy. No BJP person is going to remember Krishna, it will only be the Congress who will talk about him".